The owner family of Korean Air Lines Co. is suspected of having illegally hired more than 10 Philippine housekeepers, Seoul's immigration office said Wednesday. The immigration office, part of the Ministry of Justice, has been investigating allegations that the wife of Chairman Cho Yang-ho has unlawfully recruited maids from the Southeast Asian country for many years. 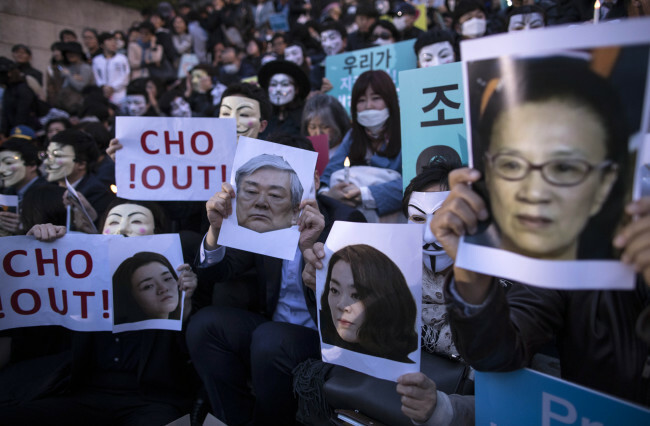 They mostly worked for Lee Myung-hee -- Cho's wife -- and Cho Hyun-ah -- their eldest daughter and former Korean Air vice president. The authorities raided the Korean Air headquarters in western Seoul last week, and based on the confiscated evidence, suspect the illicit hiring of 10-20 Filipino housekeepers. A foreigner must have an F-4 or F-6 visa in order to work as a housekeeper in Korea. Those alleged to have been hired by Lee came to Korea on a D-4, which is for persons subject to a traineeship.